Bicep curl. 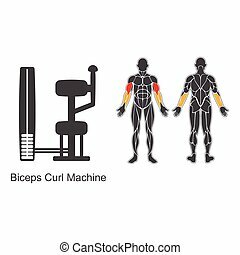 Muscular bicep flexing/performing arm curl. the arm and dumbell are on separate layers as are the background elements. 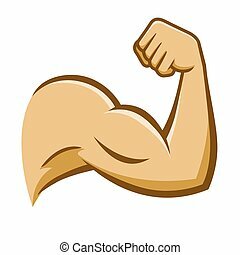 Sharp clean illustration of arm flexing with large muscles, both as a black line drawing and flesh color version. 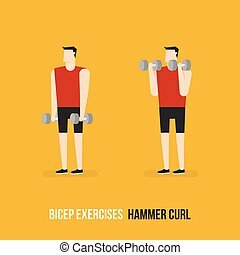 Bicep Exercises. Barbell Curl. Flat Design Bodybuilder Character Lifting Barbell. Bicep Exercises. Concentration Curl. 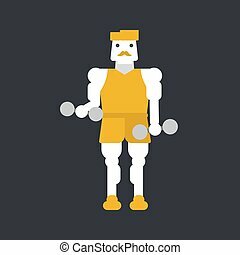 Flat Design Bodybuilder Character Lifting Dumbbell. 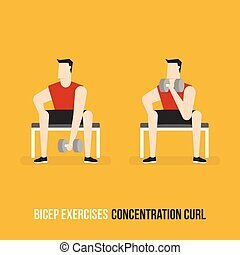 Bicep Exercises. 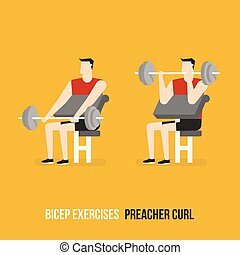 Preacher Curl. 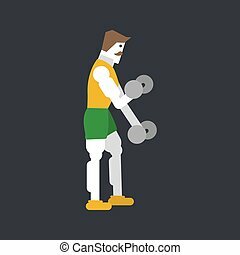 Flat Design Bodybuilder Character Lifting Dumbbell. 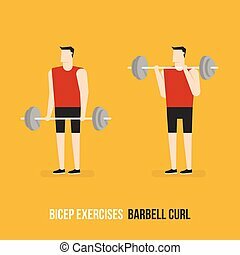 Bicep Exercises. 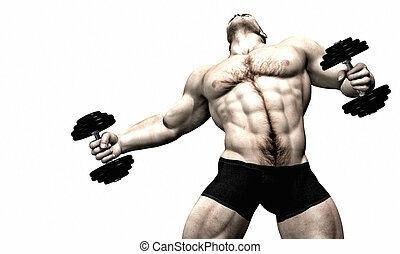 Dumbbell Curl. 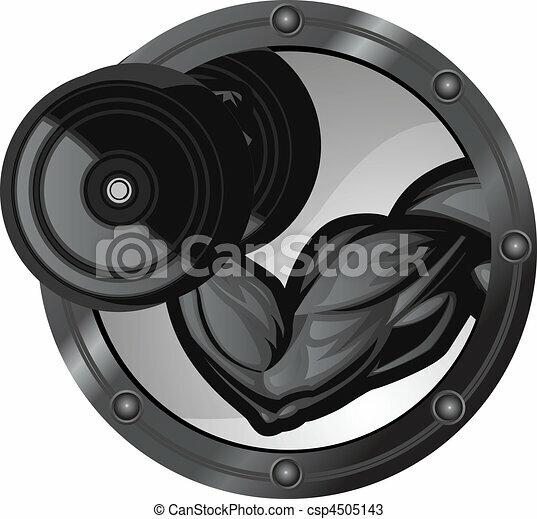 Flat Design Bodybuilder Character Lifting Dumbbell. Bicep Exercises. Hammer Curl. 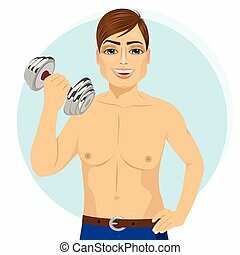 Flat Design Bodybuilder Character Lifting Dumbbell. 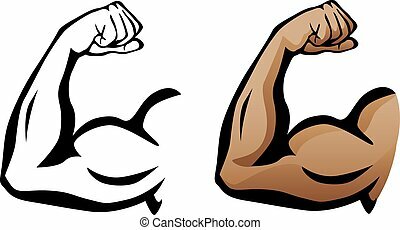 Vector illustration with strong woman doing bicep curl. 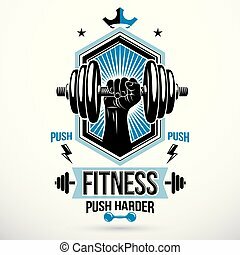 Fitness club logo template with a place for your name or inscription. Colorful female silhouette isolated on white background. 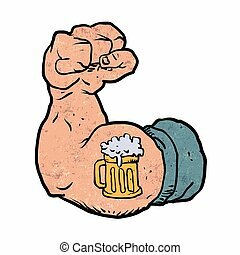 Heavy load power lifting championship vector emblem created with muscular bodybuilder arm holding dumbbell.